Olivia has always been the sweetest friend/ray of sunshine. She encouraged me so much through high school and it's a beautiful thing to think of her power of encouragement in a marriage! She's always been America's sweetheart to me, ya know? You deserve all the happiness and love, Liv, and I was so happy to see (at the very least) that your man smiles almost as much as you do. Uncontrollable joy of joys! Congrats to the Medlins. Here is their extremely special day. Tiny stone churches, singing, dancing, action figures, beer, pie, lightsabers--AKA how Melody and Wes nailed their wedding day. So glad to have been a part of this charming celebration in Spartanburg, SC. Congrats to Wes and Melody. Classic hollywood bride! Ecstatic groom! Lush greens! Pugs! 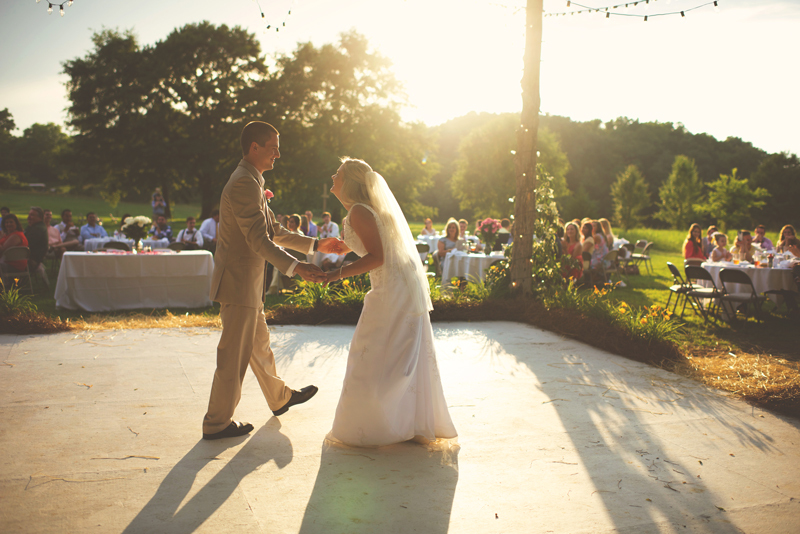 Lindsay and Chris dreamed up a wedding day full of joy and all the things and people they love. Just get to these gorgeous pictures, people! Congrats to the Bartholomews! The kind of couple that makes you sigh so deep. With laughs and angelic patience, Amy & James sat through a heavy downpour that delayed the ceremony. They said 'I do' in a post-storm wonderland--sun through dramatic clouds, sparkling rain drops on everything. I loved this day and I think everyone else did, too. Pastoral, green, blue-eyed bride portraits! Hooray! Thanks for the gorgeous session, Amy. So glad to finally share these. 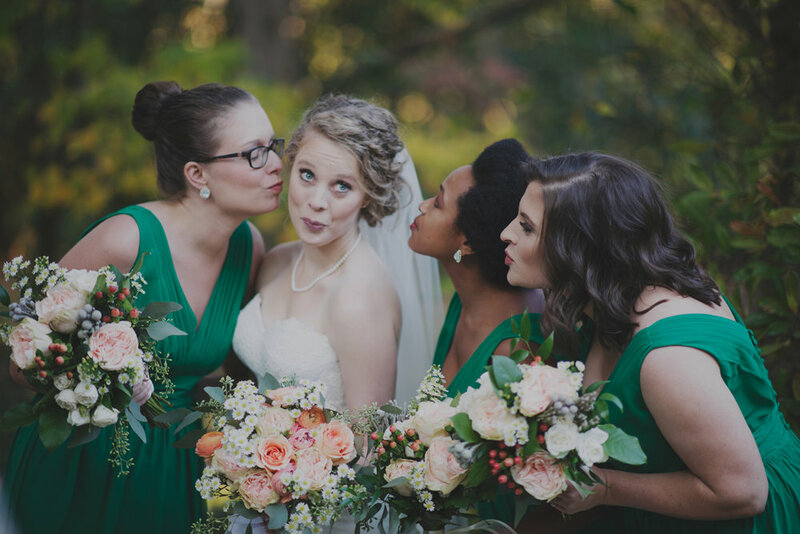 So happy was this photographer to be a part of such a lush and green upstate SC wedding. The rain could not stop the beauty of this day. Rain actually just highlighted and enhanced every detail. From the flower crowns to the beautiful covenant made between two deeply in sync people--everything shone brightly. Congrats to my sweet friend Chrissy and her new husband. OH man, these photos. Charleston--land of weddings/love. I adored being a part of this couple's happy destination wedding day. It had all the vintage details and perfect Charleston side streets. Congratulations to the newlyweds. So I got to run around my ole college campus with this giggling queen & take pictures. Heavenly. Congrats to Mitchell on finishing strong at the University of South Carolina. Forever to thee! Wildflower momma, loving daddy, saint bernard pup, warm and happy home all eagerly awaiting what will be a beautiful baby girl. I had a blast doing this session. What a treat it was to shoot this childhood friend's wedding. Miranda was a stunning, lace adorned bride and Ted was so obviously entranced by his very best friend. It was a rainy day at Chatooga Belle Farms, but that really got those distant mountains surrounding the farm to show a deep, deep blue. 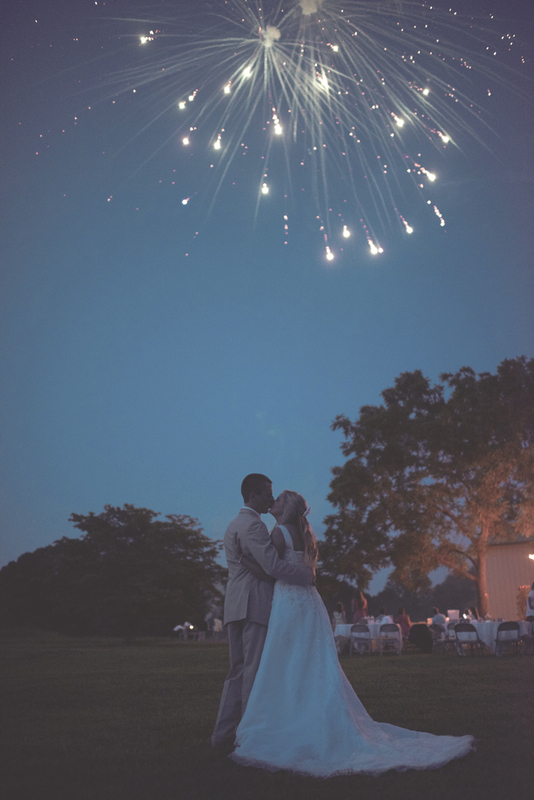 Those blue mountains complimented the cowgirl boots, quilts, rustic lace, barbecue, and fireworks quite well--classic Americana style was just right for this Clemson couple's big day. This crowd celebrated Ted and Miranda real big--there is lots of lovin' in these photos. Take a look. 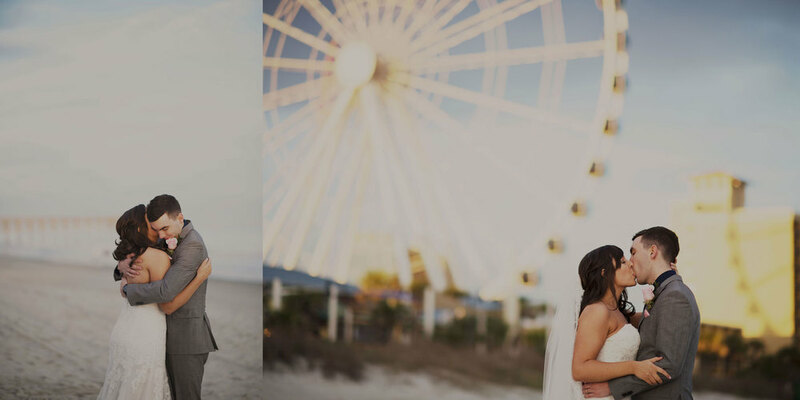 This wedding meant getting to experience the newness of 2016 right by that South Carolina tide. The ocean at sunset, this couple's marriage at its very beginning--it was all a joy to see up close. Congratulations to Lindsey and Mark. Now look at these happy photographs, people. Charleston is beginning to call on Maggie Calton Photography more and more lately and I would never dare complain. All the charm, spanish moss, and smiling people you could ask for. Time moves slow in the low country, even on a wedding day. Many congratulations to Gabi and Reece. This wedding is stunning, forever. I've been wanting to do a Monet-inspired shoot for a very long time, and with a little bit of luck I was able to find a partner who was just as inspired by some good old impressionism, as well as totally in love with the wedding world! Maghan Phelps of Emblem Weddings brought her planning, tablescaping, and design skills along to create something really sweet with very little effort. We got up at the crack of dawn (ahem, our Impression, Sunrise) to do this thing and I'm dying to do more of the things with this wedding inspiration guru. Brides, Maghan is the girl to run your day while you live in it. What's the takeaway for this episode? Well, my engaged friends, are you overwhelmed with color schemes, design decisions, etc? Picking a classic painting as your wedding design inspiration sort of guarantees a beautiful color palette without starting a single pinterest board. Bonus: the stress of wedding planning is suddenly null when you're no longer a bride or groom, but an art historian picking out their favorite painting! What's that? Go home, nerd? I'll see myself out. Thanks to Jessica Effler for modeling through chilly sunrise nonsense and managing to look as warm and happy as ever. We can all thank the incredible design genius of Sarah Janks for the gown and The Dress Theory Nashville for both guiding us to the gown and letting us borrow it. Katie Lancaster brought(!) the hair and make up and Drew Duncan fixed up a lovely paper suite in no time. Grateful. Perfect country wedding. Rain just before the ceremony to keep us all alert; big, giant, beautiful sun just in time for dusk. Congrats to Austin and Alice. Check out some of my favorite shots. Charleston is like what Disney World tries to imitate. But so very real and all the more magical for that. When you place a princess-like bride and charming groom in such a setting, things get all too enchanting. Did I mention this charming couple is also joined by a bagpipe player that leads them down cobbled and colorful streets? My goodness, guys, just watch this video. Darling. Nothing's better than working a wedding full of friends. Enjoy! This has been my busiest wedding season yet, and my absent blog posts prove it. But take heart! This wedding was well worth the wait. And there is so so much more where this came from. Get ready for vintage lace, twinkle lights, sparklers, bubbles, cake kisses, and dapper gentlemen galore! Kylie and Reed, congrats! You guys are all of the swank. My brother's family is currently a spring of life--all the chaos and joys that come with a toddler and his nearly walking little brother. I love this family so much, I've been blessed to grow up near Wes and Kelly's romance, and see it grow into a family. This Easter portrait session was full of all the laughs and screams and toddler tears and animation that make life interesting at the Calton house. Wouldn't trade it for anything. I had the pleasure of photographing a girl I knew since she was a little kid, and I was an awkward tween. College caused me to be absent from her life during her awkward years (she probably didn't even have awkward years), thus bringing us back together for senior photos. This skipped me right ahead to gorgeous young adult little lady thing. Katie is a photographer herself, so I hope she didn't mind giving up a little control to get in front of the camera with me. The shoot involved me, Katie, Katie's friend Morrison (moral support is important for photo shoots, guys), and a sunny day in my hometown. We walked through our dream neighborhood and basked in how well Katie's beauty blended with the beauty of spring. I'll settle for nothing less than this level of chill and fun on my senior photo shoots, friends. So seniors, hit me up! favorite image of the day! !